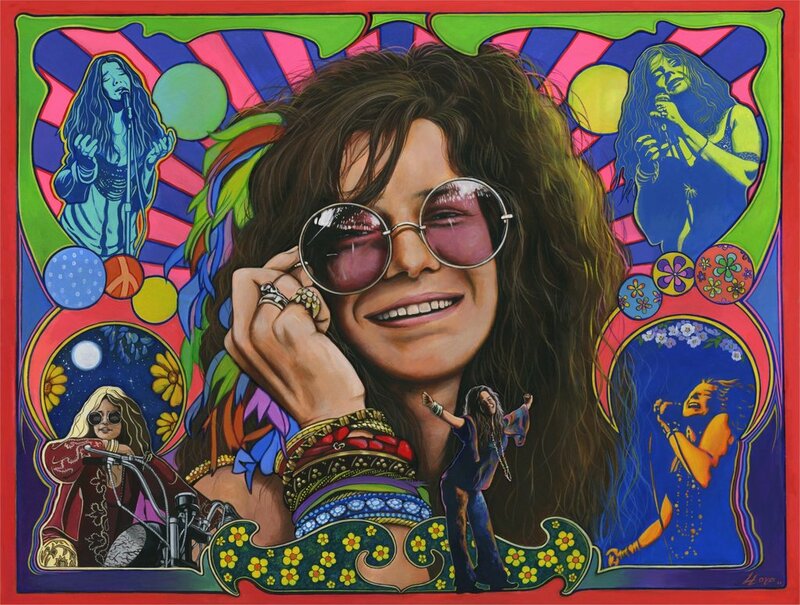 Janis Joplin was born today, January 19, in 1943. She was an American rock singer and songwriter. She was one of the biggest female rock stars of her era. After releasing three albums, she died of a heroin overdose at the age of 27. A fourth album, Pearl, was released in January 1971, just over 3 months after her death. It reached number one on the Billboard charts. In 1967, Joplin rose to fame during an appearance at Monterey Pop Festival, where she was the lead singer of the then little-known San Francisco psychedelic rock band Big Brother and the Holding Company. After releasing two albums with the band, she left Big Brother to continue as a solo artist with her own backing groups, first the Kozmic Blues Band and then the Full Tilt Boogie Band. She appeared at the Woodstock festival and the Festival Express train tour. Five singles by Joplin went into the Billboard Hot 100, including a cover of the song "Me and Bobby McGee," which reached number 1 in March 1971. Her most popular songs include her cover versions of "Piece of My Heart," "Cry Baby," "Down on Me," "Ball 'n' Chain," and "Summertime," and her original song "Mercedes Benz," her final recording. Joplin, highly respected for her charismatic performing ability, was posthumously inducted into the Rock and Roll Hall of Fame in 1995. Audiences and critics alike referred to her stage presence as "electric." 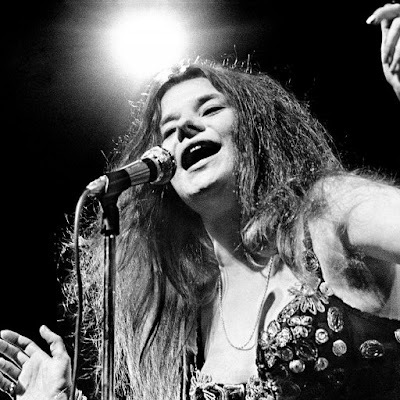 Rolling Stone ranked Joplin number 46 on its 2004 list of the 100 Greatest Artists of All Time and number 28 on its 2008 list of 100 Greatest Singers of All Time. She remains one of the top-selling musicians in the United States, with Recording Industry Association of America certifications of 15.5 million albums sold in the USA. Joplin had significant relationships with both men and women. Joplin's significant relationships with men included Peter de Blanc, Country Joe McDonald (who wrote the song "Janis" at Joplin's request), David (George) Niehaus, Kris Kristofferson, and Seth Morgan (from July 1970 until her death, at which time they were allegedly engaged). During her first stint in San Francisco in 1963, Joplin met and briefly lived with an African-American lesbian named Jae Whitaker whom she had met at a party. Whitaker broke off their relationship because of Joplin's hard drug use and sexual relationships with other people. Whitaker was first identified by name in connection with Joplin in 1999, when Alice Echols' biography Scars of Sweet Paradise was published. Joplin also had an on-again off-again romantic relationship with Peggy Caserta. They first met in November 1966 when Big Brother performed at a San Francisco venue called The Matrix where Caserta was one of 15 people in the audience. At the time, Caserta ran a successful clothing boutique in the Haight Ashbury. Approximately a month after Caserta attended the concert, Joplin visited her boutique and said she could not afford to buy a pair of jeans that was for sale. Caserta took pity on her and gave her a pair for free. Their friendship was platonic for more than a year. Before it moved to the next level, Caserta was in love with Big Brother guitarist Sam Andrew, and sometime during the first half of 1968 she traveled from San Francisco to New York to flirt with him. He did not want a serious relationship with her, and Joplin sympathized with Caserta's disappointment. The Woodstock movie includes 37 seconds of Joplin and Caserta walking together before they reached the tent where Joplin waited for her turn to perform. 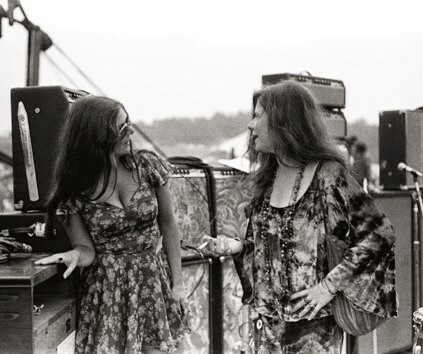 By the time the legendary festival took place in August 1969, they were both intravenous heroin addicts. According to Caserta's book Going Down With Janis, Joplin introduced her to Seth Morgan in Joplin's room at the Landmark Motor Hotel on Tuesday night, September 29, 1970. Caserta "had seen him around" San Francisco but had not met him before. All three of them agreed to reunite three nights later, on Friday night, for a ménage à trois in Joplin's room. Caserta saw Joplin briefly the next day, Wednesday, again in Joplin's room, when Caserta accommodated her new Los Angeles friend Debbie Nuciforo, age 19, an aspiring hard rock drummer who wanted to meet Joplin. Nuciforo was stoned on heroin at the time, and the three women's encounter was brief and unpleasant. Caserta suspected that the reason for Joplin's foul mood was that Morgan had abandoned her earlier that day after having spent less than 24 hours with her. Caserta did not see or communicate by phone with Joplin again, though she later claimed she had made several attempts to reach her by phone at the Landmark Motor Hotel and at Sunset Sound Recorders. Caserta and Seth Morgan lost touch with each other, and each decided independently to abandon Joplin on Friday night, October 2. Joplin mentioned her disappointment (over both of her friends bailing out of their ménage à trois) to her drug dealer on Saturday while he was selling her the dose of heroin that killed her, as Caserta learned from the drug dealer. On October 4, 1970, producer Paul Rothchild became concerned when Joplin failed to show up at Sunset Sound Recorders for a recording session. Full Tilt Boogie's road manager John Cooke drove to the Landmark Motor Hotel in Hollywood where Joplin was staying. He saw Joplin's psychedelically painted Porsche 356 C Cabriolet in the parking lot. Upon entering Joplin's room (#105), he found her dead on the floor beside her bed. The official cause of death was a heroin overdose, possibly compounded by alcohol. Cooke believes Joplin had been given heroin that was much more potent than normal, as several of her dealer's other customers also overdosed that week.